Seen on the site and found on the spot. The title was laying on a wishlist. 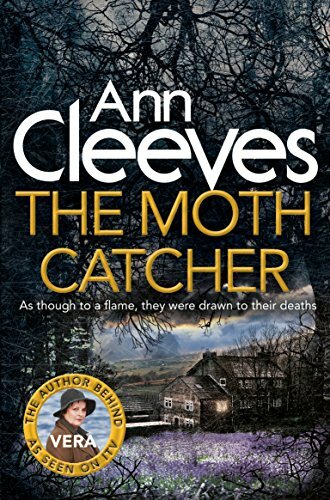 I've enjoyed all Ann Cleeves' previous books & this was no exception, although if I'm brutally honest I wouldn't say that this was one of the better ones. The story focuses on the death of two men in an area with just a few homes all owned by wealthy retired couples. I can't say particularly liked any of the couples & the characterisation was perhaps not as vivid as in the rest of the series. I had no idea whodunit or why & if there had been any clues or hints I obviously failed to pick up on them. I notice in a lot of reviews (at goodreads) Cleeves' is criticised for saying Vera is fat too often. So what? It doesn't bother me in the slightest that it's reinforced that she's an overweight, bolshy, middle aged woman (we have so much in common!). If this was the first Vera Stanhope novel you'd picked up you'd want to know how she looked so you could get a picture of her in your mind wouldn't you? I've built my own image of her over the series & to me she's always been a cross between Edna the Bag Lady & Pauline Quirke (sorry Pauline!) - nothing like TV Vera, as Belinda Blethyn is just too slim & short, nevermind not scruffy enough, to my mind. "Vera thought for a moment that she might have found a man if she'd scrubbed up a bit better but then decided that no man was worth the time it took to plaster stuff on your face in the morning, when you could have an extra cup of tea instead." Funny, I have just finished one of Ann Cleaves' Shetland books and liked her style of writing and here comes another one in a book box...Great, thanks ! This was my first Vera Stanhope novel and I do like Ann Cleaves' writing style. Also, having found myself living in the North East of England these past 4 years I think she got the characters and their speech absolutely spot on. Previous comments said this was not one of her best books - I didn't think it was too bad so I have even higher hopes for other novels in this series which I will be looking out for.